Technology is advancing at a super rate where the science penetrates through many fields. This productive venture of the medical field is familiar with physiotherapy treatment. The advancement of technology as applied to physiotherapy produces a term known as cybertherapy. In cybertherapy, patients who need physiological treatments can use a wireless interface with their doctors. The use of eTherapy is becoming known and gaining wider acceptance as it has been of great benefits to the medical professionals and patients in need of these physiological treatments. The essence of this therapy is to aid in physiological treatment which may have to do with audio messaging, texting, voice messaging, and video call and explainer messages between therapist and client. In this millennium, it is fascinating to see advancement in technology giving medical practitioners a set of tools to treat patients with physiotherapy. There exist numerous technologies that help physiologist perform better. Therapeutic Ultrasound: This technological equipment is used to treat tightness in joints, frozen shoulders, and Tendonitis. Electrical Muscle Stimulation: This is used to rebuild essential tone and strength in muscles which have not been used, or which might be severely damaged. TENS (Transcutaneous Electrical Nerve Stimulation): This is a form of therapy with an application of nonpharmacologic treatment which uses some electrical current to ease pains stimulate the nerves. Electrical Twitch Obtaining IntraMuscular Stimulation (eToims): This is a new clinical concept which involves an application of effective monopolar electromyographic needle electrodes. The eToims treatment gives patients an electrical stimulation in multiple muscles to elicit twitches. Cybertherapy has gone a long way to proffer the e-therapy solution that helps patients perform some exercise by themselves without the presence of a physician. With this concept, cybertherapy has experienced great growth and wider recognition in the health sector. Wherever you are, at any time you can treat yourself with any of the virtual reality exercises in the course of your daily life. AR and VR based therapy market is receiving a boost due to their improved applications in gaming, sports, e-commerce, entertainment and medical field. There are over 800 startups in the cybertherapy industry across the world. What is important is that the market is largely untapped and submerged in the opportunities of advanced technology. Virtual reality and gamification are computer-generated simulations having an image of three dimensions that relate with the five senses on the body; sound and sight. These give the physiotherapist an opportunity to experience things anywhere and anytime in real-time through the use of special electronic equipment. The VRPhysio is a virtual reality device with biosensors and headset devices that interface with a rehabilitation app downloaded by the user. Also, the smartphone is inserted into the headset and used as the device display unit. This technology aids the physiotherapist to track the progress of their patients. Augmented reality in surgery: What’s possible? ReLiva: People are using a solution for muscle re-education exercises in physiotherapy. This app-based service, ReLiva offers soft tissue techniques to stop permanent contractures of the paralyzed facial muscles. With ReLiva app, physiotherapists treat and monitor patients’ Bell’s palsy condition through the various phases of recovery. Blub: Children born with speech defects require a trained speech therapist to help their speech & language development. The speech blubs app is effective for helping late-talkers and down syndrome patients with words and sounds. Caregivers, parents and speech therapists are finding the speech bulb app a great tool to help children overcome speech delays. Physitrack: Physitrack is a service with an online exercise library that engages physiotherapy patients with 3500+ HD videos to aid their recovery process. The platform which requires the user’s data communicates securely with activity demonstration and real-time exercise. SisyFox: It’s an aspect of gamification that provides innovative digital health solution for physiotherapist. SisyFox is a playful physical treatment for your muscles, arms, and legs. The online game is immersive with the use original sound and graphics effects. XCLR8: If you have a pain in your knees, joints or patella injuries, the physiotherapist might consider some rehabilitation exercise routines. To follow-up and keep track of your progress, trained experts will need a real-time motion tracker to determine your recovery process. This is where the XCLR8 remote rehabilitation platform becomes useful. The online platform seeks to reduce a physical therapy session with coaches and provide a kit with interchangeable sensor design to monitor various body movements. Virtualware: The Virtualware service offers so many physiotherapy games and augmented reality (AR) which gives more impact to interactive therapy. Also, the service requires expertise that enhances AR features for mobile, web, tablets and other engaging formats. Patients receive cybertherapy stimulations, exercises and sports therapy during their virtual rehabilitation sessions. Embodia: Patients who are recuperating and need exercise programs that are easy-to-understand, and record their fitness progress through the free patient app. The Embodia app acts as a vital that augments the patient-therapist encounter. This technological feature is an interfacing feedback mechanism helps the user to make health progress in every workout session. CarebyApp: A physiotherapy training platform which renders relief for patients with back aches. This service comes as an online medical platform with app features for the relief of backaches. The ‘lower back pain app” uses a 10-week exercise program. Also, the therapy focuses on stability, mobilization, and muscle strength. The lower back pain app is interactive and helps the user to track the level of his back pain during therapy. body pain with the use of VR therapies. MoveonApp: Therapists describe the MoveonApp as a universal technology that works well with all physiotherapy rehabilitation tools (crutches, prostheses, and others). When patients use this medical device for physiotherapy purposes, the data for weight exerted on their limbs, speed of leg movement and real-time interaction with doctors are stored. This smart way of storing data helps the users track their progress. How has digital health technology changed the face of physiotherapy? The advancement of technology in health has done a lot in enhancing clinical physiotherapy practice. 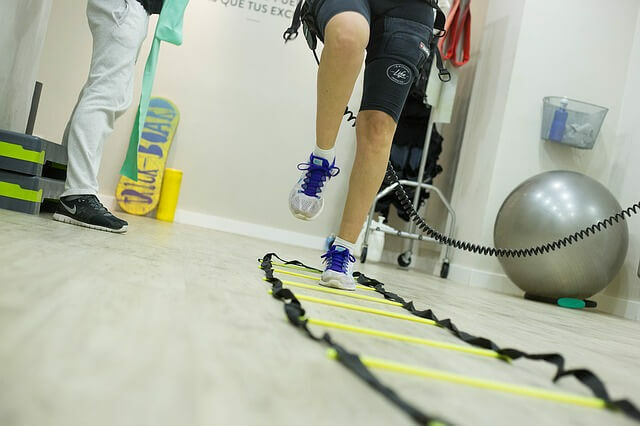 In the modern physiotherapy practice, the use of visual and audio cues has helped patients with difficulties in walking. Also, speech impairments and other birth defects gradually come to normal with the use of different technological gadgets in physiotherapy. Virtual (VR) and augmented reality (AR), play a significant role in digital health technology and physiotherapy. Doctors are using cybertherapy to treat postoperative anxiety in the recovery of cardiovascular challenges. People use these devices to help them recover quickly. 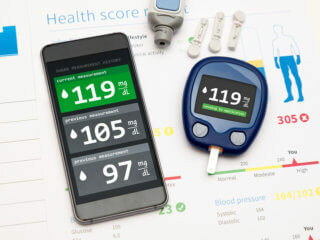 The use of mobile phone app and wireless technology to record breathing rates, heartbeats, pulse rate, blood-sugar and other parameters has been helpful. With eTherapy, patients that rely on the use of technological devices and apps have learned tactics that help their physiological condition. The use of treadmills, 3D goggles, exercise bicycles, and robotic gloves are some of the benefits. Also, several patients may not want to disclose their health records to their friends and family. With e-therapy, users of technological devices and apps have learned tactics that help their physiological condition. With the introduction of digital technology in the practice of physiotherapy, patients have recovered faster. Also, more non-traditional approaches to physical therapy are coming up infusion with wireless technology. This development shows that several users are subscribing for an affordable and convenient eTherapy. Online therapy through the use of virtual reality games is effective for physically challenged patients who are homebound.